Caption slip reads: "Photographer: Lou Mack. Date: 1958-08-28. Reporter: Kline. Assignment: Kids make 'Dizzieland'. 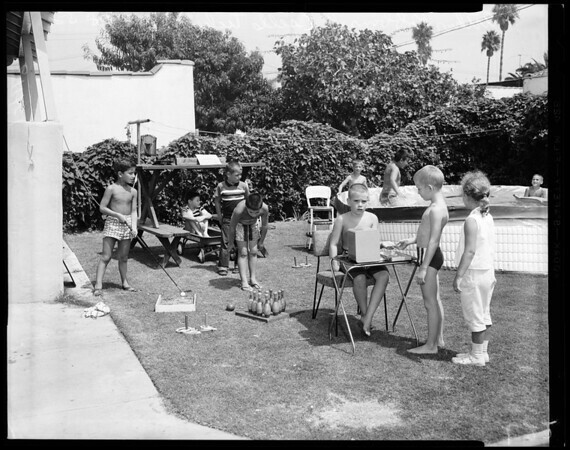 21/22/25/26: Gen. view of Arthur Robbins, 9, ticket seller, with kids using his amusement park made in backyard."